"These days kids come out [of art school] and they go right into, you know, Gentleman's Quarterly or Sport's Illustrated or Esquire," says Marvin Friedman, "... and they just don't understand these things. They may be one-shot deals, y'know? My goal was The Seven Sisters." "The Seven Sisters were: Ladies Home Journal, Woman's Home Companion, Good Housekeeping, Redbook, Woman's Day, McCall's, and Cosmopolitan. 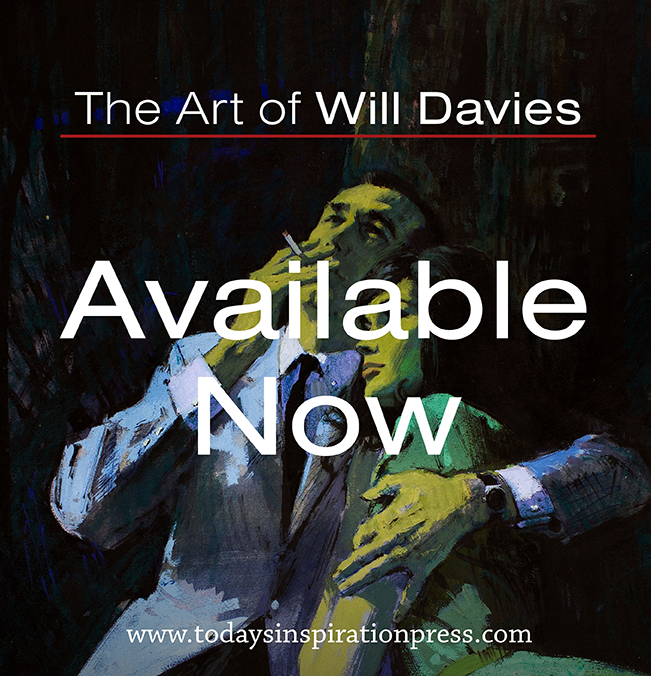 For Al Parker, Austin Briggs, Robert Fawcett and all those people, those Seven Sisters, that was their lives." "That was my goal, there was nothing more than that. I didn't care about anything else. I didn't care about museums or art galleries - in fact I hated that - I couldn't see anything but those Seven Sisters." "So eventually after I got married and had a kid I moved to New York and started starving all over again." "It was just a matter of getting some Good Housekeeping spots for 35 dollars. You'd just have to walk. You'd walk in the wind and the rain, winter and summer, walk with that portfolio down any street in New York and go into a building and try and see someone and pick up a job." "They'd rifle through their papers and pick something: "Here take this, this'll be good." -- It was beautiful!" I asked Marvin if he considered getting in with one of the big art studios, like the Charles E. Cooper studio. He replied, "Of course I tried! I would have crawled to China to get work! But they were all about, you know, beautiful women and Pepsi-Cola. I just didn't fit in." Not fitting in meant Marvin was more likely to get high-profile work from only certain art directors at certain magazines. 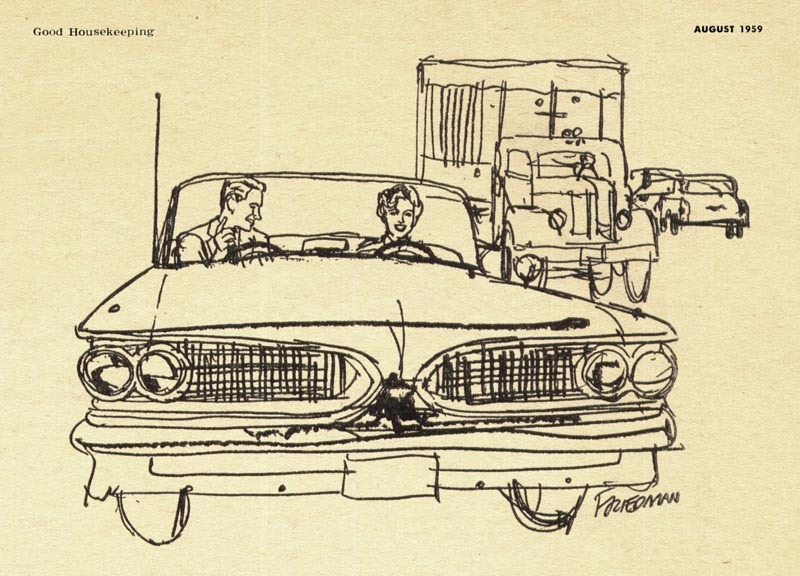 Marvin says that when art directors looked at his work they'd say, "Looks like we've got another [Robert] Weaver here." Not surprisingly, he set his sights on Cosmopolitan magazine. 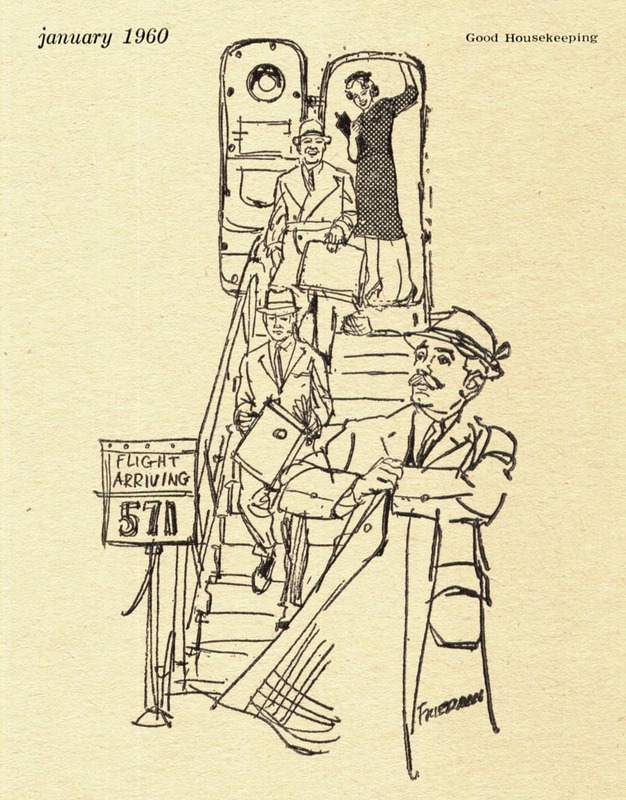 Unlike the more traditional, mainstream look of the Saturday Evening Post, Cosmo was using people like Jack Potter, Phil Hays and Robert Weaver. 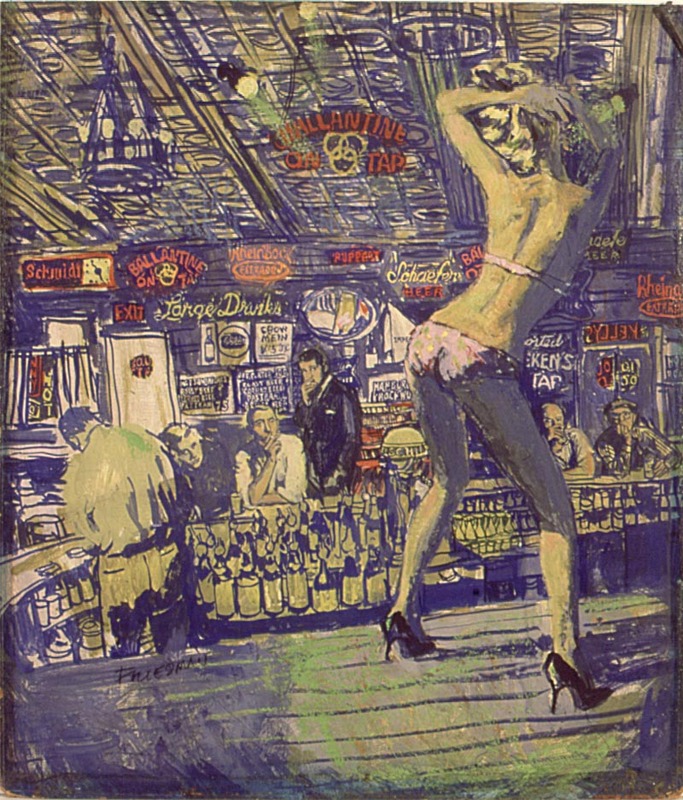 The piece above, done around 1960, was Marvin's first assignment from Cosmo. Marvin loved working for Cosmopolitan's AD, Anthony La Sala. "He was like a father to me," says Marvin, "He used to take me out to dinner, he bought me clothes... Cosmopolitan was literally going down the tubes. They were hanging on by their fingernails. But Tony always found the money to pay me $2,500 for an illustration." 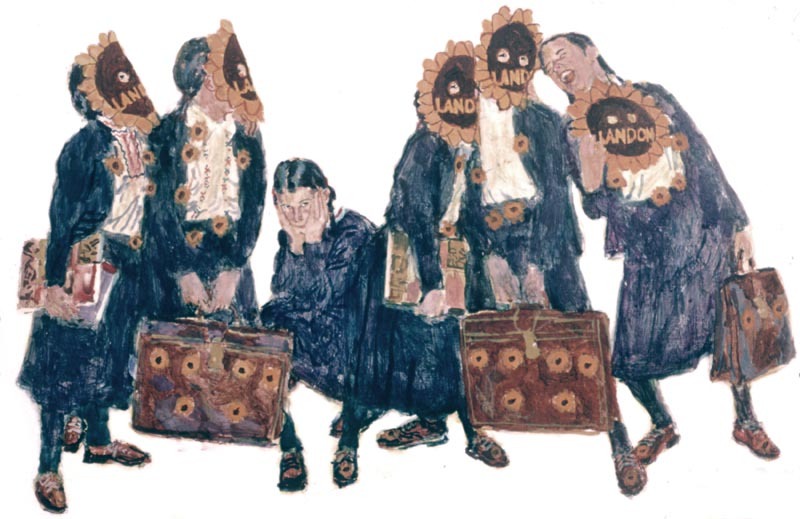 With his art budget severely constrained, La Sala would approach museums and galleries and buy one-time limited reproduction right to famous paintings for $100 a piece. These he would use to illustrate most of his fiction stories, saving the bulk of his budget so he could commission one good illustration for one remaining story each month. 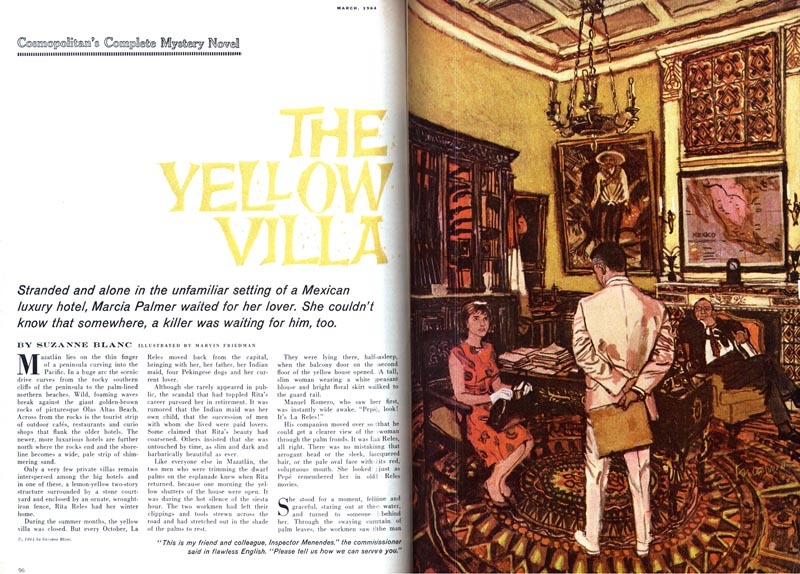 I asked Marvin about the 1964 illustration above for the story, "The Yellow Villa", and he let's out an amused groan, "Oh, please don't tell me! I got so screwed on that job! They just kept sending it back and saying "put more stuff in, more stuff in." I just wanted to do a close up on the guy's back, and they just kept wanting more and more and more. Oh, it just doesn't work at all." WOW....Brilliant stuff. It's a good thing I was square. Out here Friedman would have been admired....but not popular with ad clients. Thanks, Leif, for the introduction to his work. Wow, that Cosmo illustration is amazing. So dense, and complex but not at all overworked. I love it. Does he have the original? 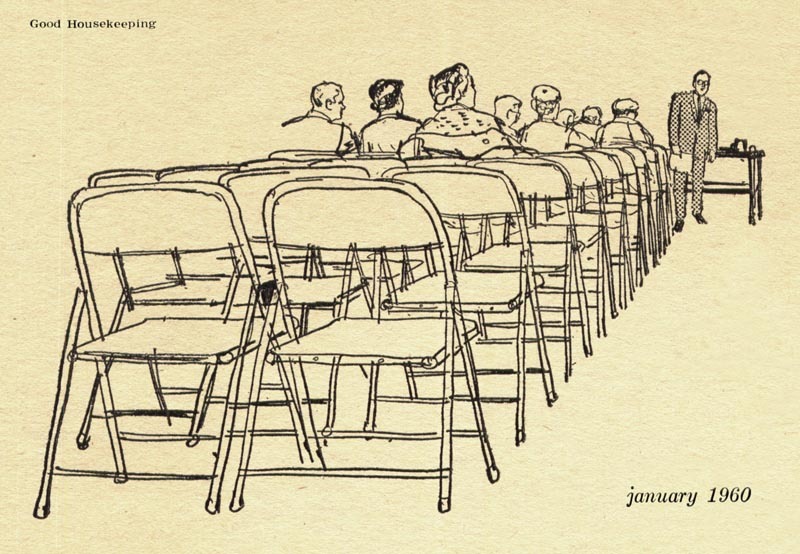 P.S., For someone who supposedly couldn't draw straight lines Friedman somehow kept all those folding chairs from crashing into a big mess.